Tagline Her death will not be ordinary. The Terrorist (Tamil: தீவிரவாதி (Theeviravaathi)) is an Indian Tamil film directed by Santosh Sivan. 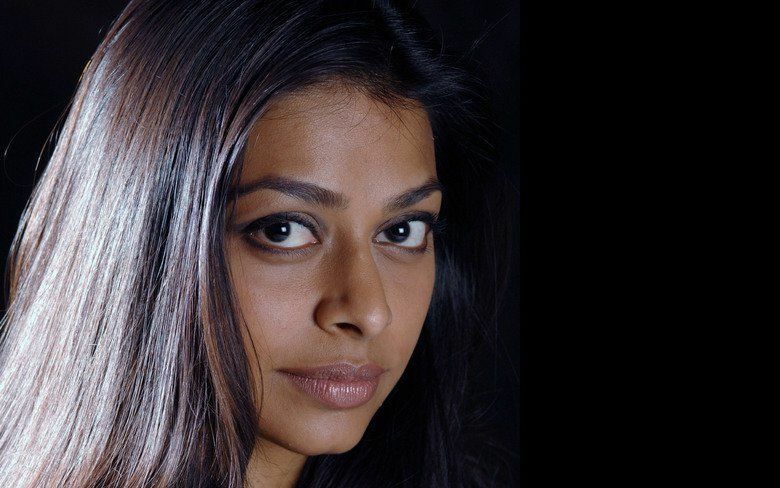 The film portrays a period in the life of a 19-year-old woman, Malli (Ayesha Dharker), sent to assassinate a leader in South Asia through a suicide bombing. It stars Dharker, K. Krishna and Sonu Sisupal. Released in 1998, the film was shot in 15 days, with natural lighting, on a budget of $50,000. The film won a number of awards at international film festivals. Actor John Malkovich first saw the film at the 1998 Cairo International Film Festival and subsequently adopted the film as a kind of post-facto executive producer (the reissued film's titles read "John Malkovich Presents"). Critic Roger Ebert has included the film in his series of "Great Movies" reviews. Ebert concludes his review with the following line: "Every time I see the film, I feel a great sadness, that a human imagination could be so limited that it sees its own extinction as a victory." The film that proved his mastery over the visual language was The Terrorist which has become a textbook of sorts for visual communication students, with scenes from the movie being used by Michael Chapman, Martin Scorsese’s cinematographer, to explain the tenets of cinematography during workshops. According to film critic Roger Ebert, it was a film ‘scripted by the camera’. Says Sivan: "One day I got a call from Samuel Lee Jackson who was interested to cast the heroine of The Terrorist, Ayesha, in a Hollywood film." The Terrorist focuses on a 19-year-old woman named Malli, who joined a terrorist organization at a very young age after her brother was killed in the cause. She eventually volunteers herself to become a suicide bomber in an assassination mission. As the plot moves forward, she discovers the importance of human life, after realizing she is pregnant. This causes Malli to question her determination to complete the mission. On 21 May 1991, Rajiv Gandhi was campaigning in favour of a UCPI candidate for the upcoming parliamentary elections in Tamil Nadu, when he was assassinated by a suicide bomber in the Indian town of Sriperumbudur, near Madras. The suicide bomber, Thenmozhi Rajaratnam aka Dhanu, is widely believed to have been a LTTE member. Dhanu was a cousin of Shivarasan, the supposed mastermind of the assassination. Dhanu wore the belt bomb with the explosive material in her lower back region and the power pack, two switches and the circuitry in front. When Santosh Sivan, a well-known cinematographer, wanted to make a film on terrorism and about a terrorist, he chose the above events as the inspiration for his story. The film is not a direct biography of Dhanu, as she had a whole troupe working with her, as backup in case she failed.